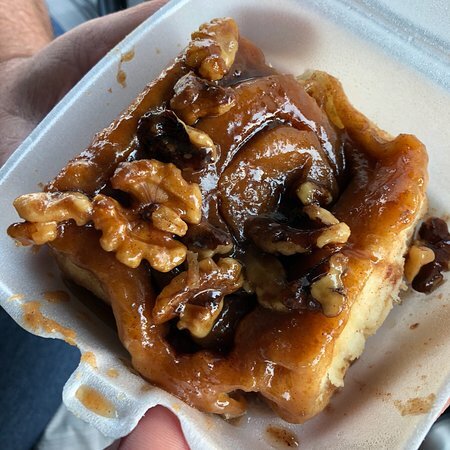 We are glad you enjoyed the sticky buns. Come back anytime. Thank you for your review. 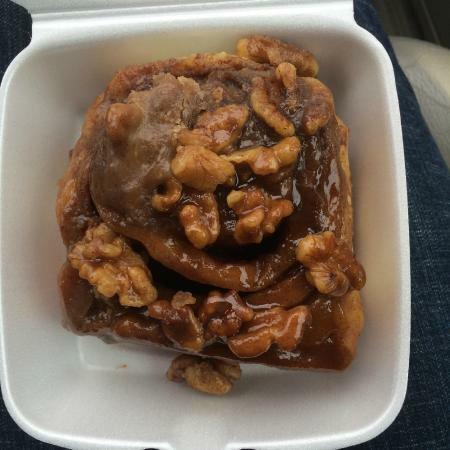 They have amazing sticky buns, soft inside, not dry like some. 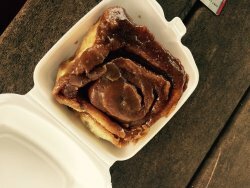 If you don't want sticky buns, they have equally amazing cinnamon buns. Butter cream, vanilla or peanut butter frosting, generously slathered on top! Just gotta say YUM! Would you believe some like the icing slathered on top of sticky buns and walnut buns. Thanks so much for taking time to post a review. These cinnamon rolls can't be beat.! Buying these Cinnamon Rolls are so much easier than making your own and probably a whole lot better. Clean up with these is just licking your fingers, or using a napkin as opposed to cleaning up a whole kitchen. Thank you for posting a review. Hope to see you again . 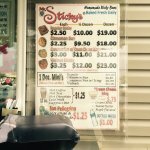 If you want the best and largest Cinnamon Rolls...Mr. Sticky’s rolls are so good. 🍩🍩 the price is not a fortune. Thank you for your review. By the way did you try them with or without our cream cheese or peanut butter icing? Delicious. Take some to work and you will be the star of the office! They have many options such as icing and nuts. When they are hot, there is nothing better. The down side of taking them to work is that people will want you to bring them again and again. Thanks for sharing. 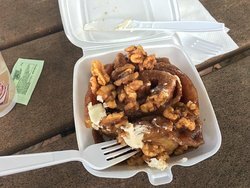 We bought 2 boxes of there plain sticky buns for a holiday gathering at a family’s home up north and they were a high hit! 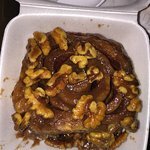 Keep up the hard work making the best sticky buns I’ve had! Thank you so much for taking time to post a review. We will be closed for the whole month of January and will reopen February 1 weather permitting. Words cannot describe them! My favorite is the cinnamon with cream cheese icing. Better than Cinnabon! 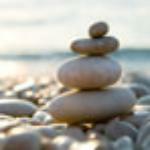 There are other options so a newcomer could have a tough time choosing. Love this place! When you can't decide try one of each. If you ask they will give you a sample taste of the cream cheese and peanut butter icing. Thank you for your review. 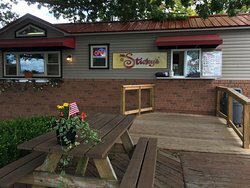 Get quick answers from Mr. Sticky's Homemade Sticky Buns staff and past visitors. 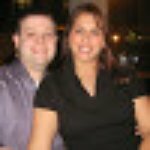 Do you ship orders out of state? I think that you now have the answer. 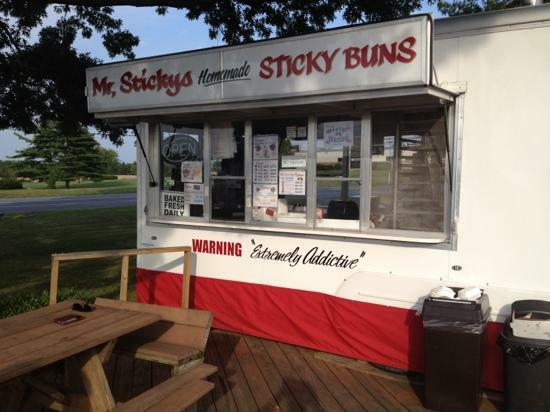 Mr.Sticky's operates from a mobile trailer in the parking lot of the Discover Lancaster Visitors Center .From Route 30 take the Greenfield Road exit ,follow the visitor information signs. We are located in the parking lot across the road from McDonalds. 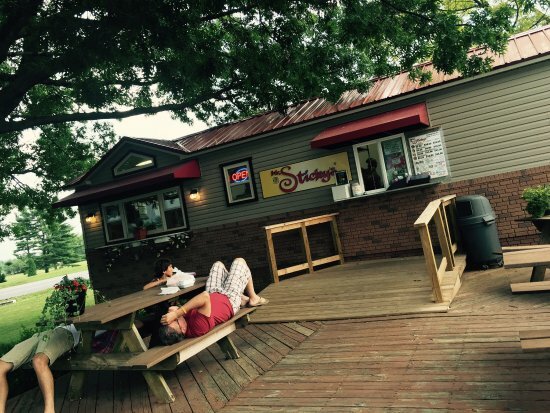 In the near future we will be replacing the white concession trailer with a trailer that looks like a building. 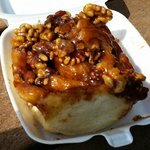 Are you sticky buns made with eggs and or pistachios? Yes, they contain eggs. they may have come in contact with walnuts, but no pistachios.